Kyoto is all about the green tea products, kimono, and Chirimen handicrafts. Uji, Kyoto was one of the first places in Japan to take part in tea cultivation. At that time it became highly regarded as the drink of the nobles, which is how its popularity began spreading. Today, Uji’s tea is still considered to be of the highest quality in Japan. 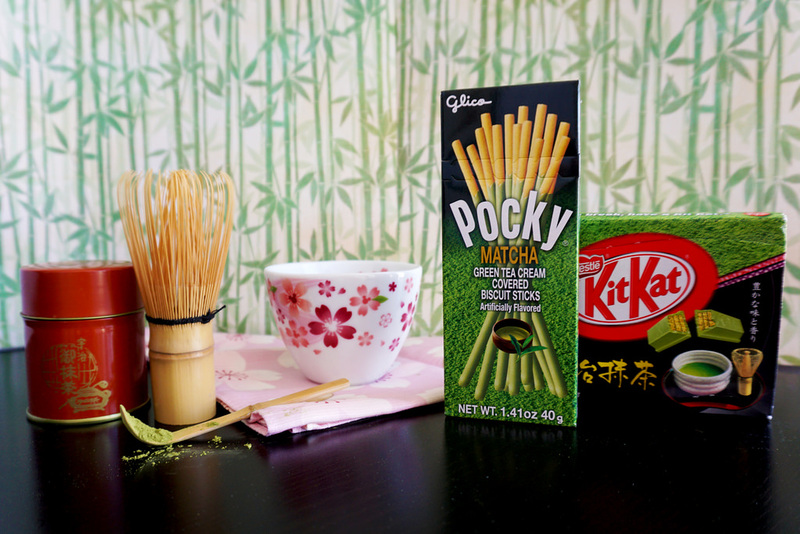 A tin of matcha, powdered tea, is easy to bring back to your home country as it’s small and light weight. Even if you’re not a big tea drinker, you’ll find other green tea flavored products everywhere in Kyoto. From green tea Pocky to Kitkats, this really is the perfect Kyoto souvenir. 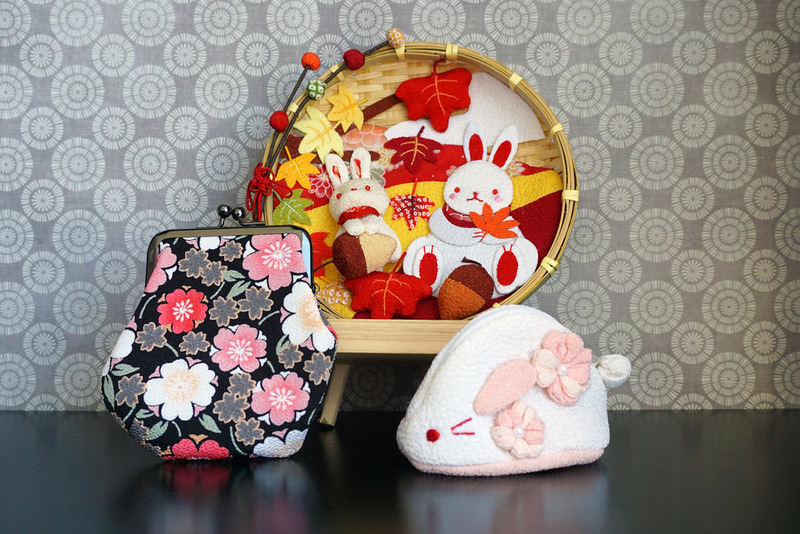 If you’re looking for non-edible items, kimonos and Chirimen handicrafts will be your best bet. Wander down any road around Gion and you’ll find that they’re lined with beautiful kimono shops. If you’re lucky, you’ll also probably see many women wearing kimono in the streets of Kyoto! 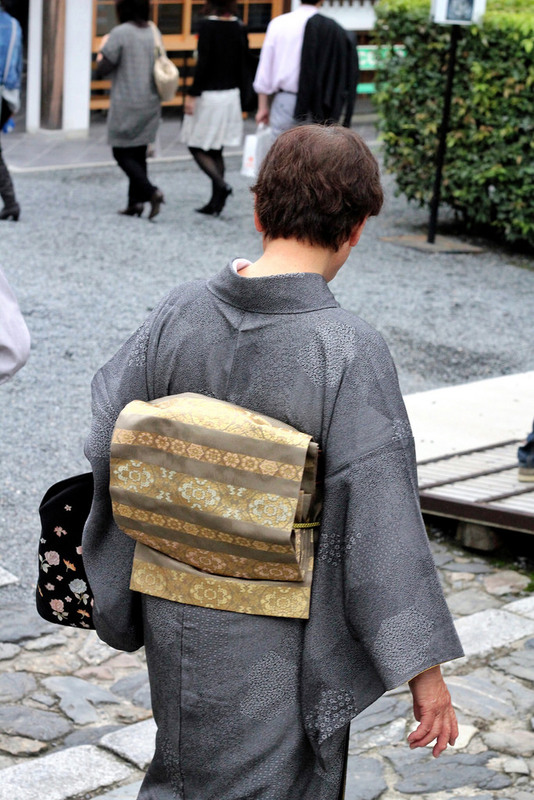 However, kimono are expensive, heavy, and kind of impractical for the every day traveler. I’d recommend going for the Chirimen as they’re cute and easy to bring home. Chirimen is a traditional weaving technique that was developed in the late 16th century. It was once primarily used to make fine kimonos, but now it is also used for small dolls, purses, and other decorative trinkets. The key characteristic of this silk fabric are its soft wrinkles. The wrinkles are created by alternating two types of silk thread, twisting them in different directions. They actually don’t even appear in the fabric until it’s washed and dried, bringing them to the surface. These fine handicraft are perfect as souvenirs for anyone with a good aesthetic sense. You can purchase them from three shops in Kyoto Prefecture: two are located in Kyoto near the Gion district and the other, the Chirimen Craft Museum, is in Arashiyama. Other great Kyoto products include wooden combs and high quality chopsticks– both which you can easily find in many souvenir shops in the area. See? Kyoto is all about the traditional and the delicate. Happy shopping! Japanese Proverb, "Hinsureba donsuru" "Hisashi o kashite omoya o torareru. "etc..